Formally ratified in 2000, Category 5e Data Cables have surpassed the Category 5 Cables for facilitating computer networks running at 10 or 100 Mbps. Category 5e Cables have become prolific as they offer a higher bandwidth than the previous Cat5 Cables and are produced to a higher technical specification. As a result Cat 5e Cables can be found in all manner of industries, and in functions from running Local Area Networks through to supporting advanced, data intensive organisations. Where mechanical protection is required, armoured Cat 5e Cables can be supplied. Category 6 Cable is made from 22 to 24 AWG copper, contains four twisted wire pairs and has high insulation properties to facilitate a high technical performance. Cat 6 patch cables are normally terminated in 8P8C modular connectors. The performance of Cat 6 Cabling is up to 250 MHz, more than double category 5 and 5e. Attenuation, NEXT (near end crosstalk), and PSNEXT (power sum NEXT) in Cat 6 Cable and connectors are all significantly lower than Cat 5 or Cat 5e. Cat 6 rated patch cables, jacks, and connectors should be used with Cat 6 Cabling where possible to ensure the full benefits of the cabling can be realised. Cat 6a Cable works at frequencies up to 500 MHz (double those of Cat 6) and provides up to 10Gbit/s. It is the latest in the enhanced performance standards for twisted pair cable systems. The Category 6a improvements over cat 6 are largely relevant to the area of lowering alien crosstalk in high frequencies. A range of patch cables, jacks, and connectors is available to support accessing the full capacity of performance improvements offered by Cat 6a Cabling. Category 7 (ISO/IEC 11801:2002 Category 7/class F) is the cable standard for Ethernet and other interconnect technologies. It is based on a system of four twisted copper wire pairs, as with the earlier standards but has the additional improvement of shielding the individual wire pairs and the overall cable. Category 7 Cabling facilitates 10 Gbit/s Ethernet over 100 meters of copper cabling and is rated for transmission frequencies of up to 600 MHz. It can be terminated either with RJ-45 compatible GG45 electrical connectors which incorporate the RJ-45 standard or with TERA connectors. "A flexible approach - Alternative Communications proved they can adapt to our changing needs. Their readiness and ability to cover full range of work has been crucially important to us"
For expert structured cabling, simply contact Alternative Communication Systems for a free consultation. 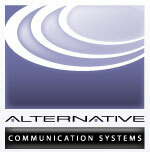 Alternative Communication Systems provides Oxfordshire and the UK with expertise in everything from hosted VOIP and telephone systems to structured cabling and network solutions.